The Big Cat sure has me fired up and of course, I have about two weeks to actually finish her! It's been a all out effort and I've been working on the Tomcat for a little over two weeks. I just saw I left out the nose gear photo which I'll post in a little bit and this assembly took longer then any other part of the build to date. Right with you and glad I have very good company. 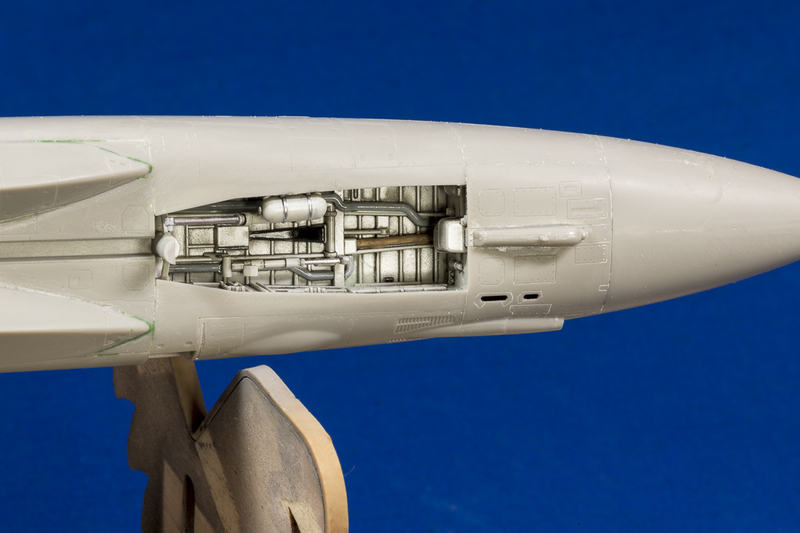 I just discovered I left out the nose gear photo - not that it's earth shattering but it does show the beautiful detail Tamiya molded into the kit. Lots of differences between the two kits and what Tamiya didn't do, with the control surfaces, Hobby Boss did. But when it comes to fit and detail, my money is on Papa Tamiya. Looking forward to your decision down the not to ditand road. "160379 is a Block 95 jet. This should be fine. The Tamiya kit is a Block 85 - Early 95 jet OOB so, the Block 85 jets would include BUNO's from 159588 - 159637 and the EARLY Block 95 jets would be BUNO's 160379 - 160414." Thanks Steve for all your help - greatly appreciated. Whatever you depict, it will look spectacular! Yeah, that squares with my research as well. I'm planning on a Block 95 bird, BuNo 160386 that I photographed at the Selfridge ANGB open house in 1977... Been wanting to do a model of her ever since! 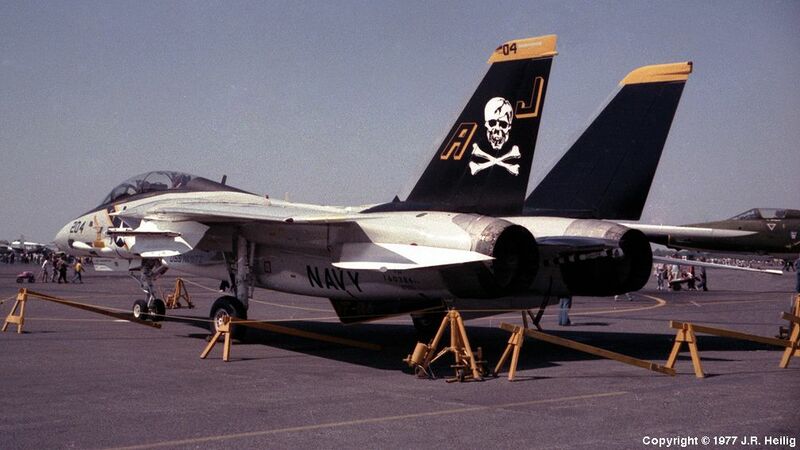 She was only a few months old at the time, and VF-84 had yet to take their Cats to sea when I took the photo! Weathering? We don't need no stinking weathering!